Originally from New Jersey, Mike has been in Delaware since 1986 when he was stationed in Dover with the Air Force. After ten years of active duty, the next six years he performed in sales and relationship management for a corporate bank. Mike’s entrepreneurial spirit has been growing since grade school when he started making money from door-to-door sales and a newspaper route. Since starting his real estate investing business in 1999, (full time 2003), he has completed hundreds of deals including buy and hold, lease purchase, flip, wholesale, options, creating notes, new construction, and apartment to condo conversion. Mike enjoys teaching real estate investing at Del Tech and speaking for other groups and organizations. He is fulfilling one of his biggest passions by providing an environment where real estate investors can learn, grow, and network. Brittany has a diverse marketing background with over 10 years of experience. She wears many hats that range from content development and creative strategy to brand management. She combines her strategic organization strength and client satisfaction focus, to balance tasks and timelines and help make goals a reality. Brittany is an Atlanta, GA native and enjoys spending time outdoors with her family. Jessica has been with DelREIA as a web administrator and marketing coordinator since Fall of 2014. Prior to DelREIA, she had a quick stint as a restaurant manager at the Philadelphia airport before spending six years working as an executive assistant and business analyst for a local wine and spirit distributor. After having her second daughter in 2014, Jessica left the 9-5 schedule at the distributor and quickly settled in with DelREIA. Cathy Aguilera is a seasoned Accounting & Human Resources professional with over 20 years in the field. She has worked in a variety of industries and brings with her a vast amount of experience as well as exceptional management skills. Cathy is originally from Pennsylvania but has called Delaware her home for the past 20 years. Cathy enjoys spending time with her grandchildren and then sending them home! Reed Walters grew up in Kent County, Delaware. After graduating from Caesar Rodney High School, he spent 16 years as a restaurant manager. He started his REI business P&S Property Solutions, LLC in 2010. 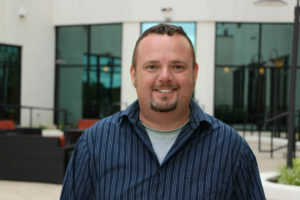 Shortly after starting his business, Reed joined the Delreia coaching group, and was the second person to graduate from the program. In 2015, he left the restaurant industry to pursue investment real estate full-time. Although his primary career is in flipping houses, Reed also has a rental and is currently wholesaling houses. 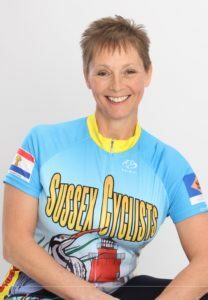 Reed runs the Kent County Chapter of the DelREIA and leads the On-Site R.E.I Group Coaching (Kent/Sussex) program. Michele received her Bachelor of Science in Pharmacy from Duquesne University, her Master of Business Administration from the University of Phoenix, and her Doctor of Philosophy degree from Walden University in Public Policy and Administration with a Health Policy specialty. Her research explores the impact of comprehensive plans, zoning policies, and finance policies that promote or impede real estate developers’ decisions to build healthy communities. She is a former student in the Rich Dad Coaching and Mentorship program. As a graduate of the Landmark Education Curriculum for Living, she is an experienced Self Expression and Leadership Coach. She has completed a wide variety of coursework through the Defense Acquisition University and Professional Military Education. After 7 years of part time real estate ventures, Michele transitioned into full time real estate investing in January 2013 after a six year active duty military service call up. Although she is primarily based in Sussex County, she actively continues to build her power team in the Delaware market. She is experienced with private money brokering, wholesaling, rehabbing, creating partnerships, and marketing. Michele retired from the Air Force Reserves in June, 2015, after more than 30 years of service. She has extensive experience in leadership, strategy, policy development and execution, and planning. Michele runs the Sussex County Chapter of the DelREIA.